Backlash in Nigeria as main candidates shun election debate - SABC News - Breaking news, special reports, world, business, sport coverage of all South African current events. Africa's news leader. Nigeria's President Muhammadu Buhari and his main challenger on Sunday faced accusations of arrogance, disrespect and elitism, after they failed to turn up for a debate. Nigeria’s President Muhammadu Buhari and his main challenger on Sunday faced accusations of arrogance, disrespect and elitism, after they failed to turn up for a debate between election hopefuls. 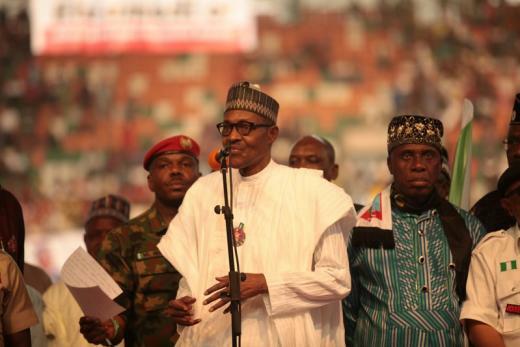 Buhari, of the ruling All Progressives Congress (APC), and Atiku Abubakar, from the main opposition Peoples Democratic Party (PDP), were supposed to have been among five candidates at the set-piece discussion late Saturday. But Buhari stayed away, citing his “busy and hectic official and campaign schedules” and because he had already taken part in a live, televised question-and-answer session. Abubakar returned from the United States and headed to the venue in Abuja but “at the last second he decided not to appear”, debate moderator Mark Eddo announced. Abubakar, referred to across Nigeria as “Atiku”, later blamed Buhari, saying the president’s absence was “a slight on all of us and our democracy”. The other three candidates at the debate all said Buhari and Abubakar’s absence was not surprising and both were from the old ruling class. Retired army general Buhari, 76, headed a miliary government in the 1980s, while Abubakar, a wealthy businessman four years his junior, was vice-president under Olusegun Obasanjo from 1999 to 2007. Obasanjo issued an open letter on Sunday accusing Buhari of recruiting agents to falsify the election results, and cast doubts on the national electoral commission (INEC). “Personally, I have serious doubts about the integrity, impartiality and competence of the INEC to organise elections that are fair, open and credible,” said the ex-president who supported Buhari in 2015 but this time is backing his rival Abubakar. “The elections starting in February will be free and fair as promised the nation and the international community by President Buhari,” it added. Buhari, Abubakar and Obasanjo are among a number of ageing politicians to have dominated Nigeria for decades in a country where around 60 percent of the population of more than 180 million is aged under 30. This entry was posted on 21 Jan 2019,05:33AM at 5:33 AM and is filed under Africa, Homepage Latest Stories Slider. You can follow any responses to this entry through the RSS 2.0 feed. Both comments and pings are currently closed.